A former Fairfax County police officer fainted in court Wednesday after a judge ruled he would not get bond in the 2013 shooting death of an unarmed Springfield man. The court hearing marked ex-officer Adam Torres' first appearance in court after being charged with murder. In deciding not to set bond, the judge said Torres' mental state has been deteriorating after the shooting incident. The judge said he had to consider whether Torres would be a flight risk or a threat to the community. At that point, Torres fainted and the courtroom was cleared. Paramedics were called to the Fairfax County courthouse. Prosecutors say Torres wrongfully shot and killed 46-year-old John Geer in a standoff triggered by a call about a domestic dispute two years ago. Torres told investigators he had seen Geer's hands go toward his waist, as if reaching for a weapon. However, Geer's father and other police officers said Geer's hands were held up when he was shot. 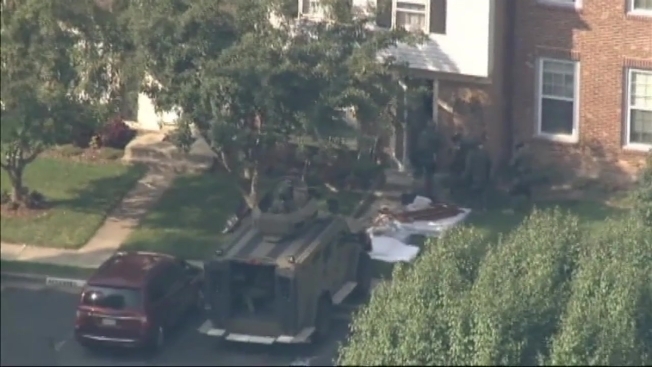 The shooting led to protests against Fairfax County police. It also led to the creation of a county commission to review police department policies and the release of information to the public. The county paid $3 million earlier this year to settle a civil lawsuit filed by Geer's family. Officer Involved in Shooting No Longer Employed by Fairfax Co.
Torres was indicted Monday. His trial is scheduled to begin Dec. 14.